Our SureImage® holographic wristbands the perfect solution for visually identifying authorized VIP guests during night events (bars, nightclubs, festivals, and more)! 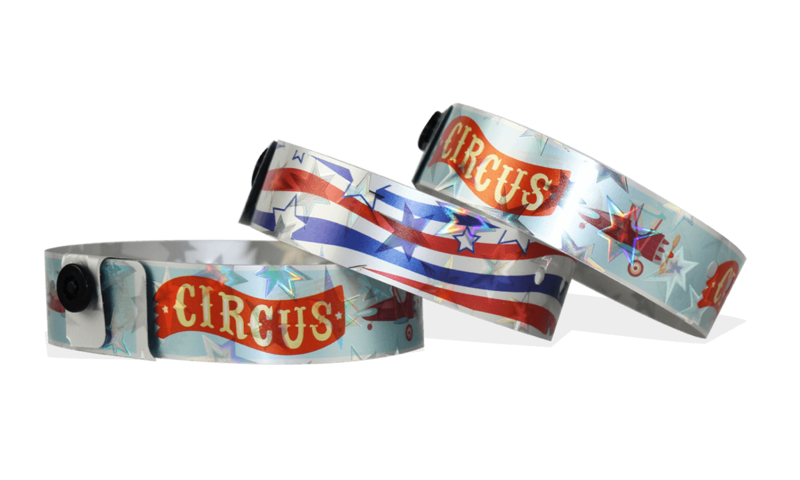 Add a touch of glamour to your next event with our SureImage® holographic wristbands that shimmer and sparkle in the light! Print your pictures or your logo in photo quality resolution or choose some graphics which reflect the athmosphere of your event.